Spectre’s Radiator Overflow Tanks offer reliable coolant recovery in a variety of custom sizes. Made from high quality polished stainless steel, this 2 inch x 13 inch reservoir has a capacity of 18.27 fluid ounces. 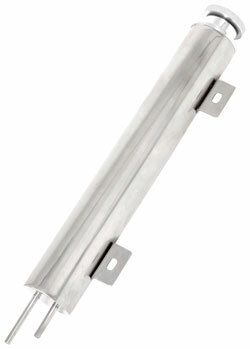 Designed to ensure easy installation, this product includes mounting hardware and instructions.